It’s been a week since Doug and I swapped the rear axle housing in my ’40 coupe, and it hasn’t had any time to be tested since performing that job. It’s been sitting in the shop down at Show Me Rod & Custom, taking up Doug’s shop space. Here’s a little video snip, driving in the rain, in the ’37. 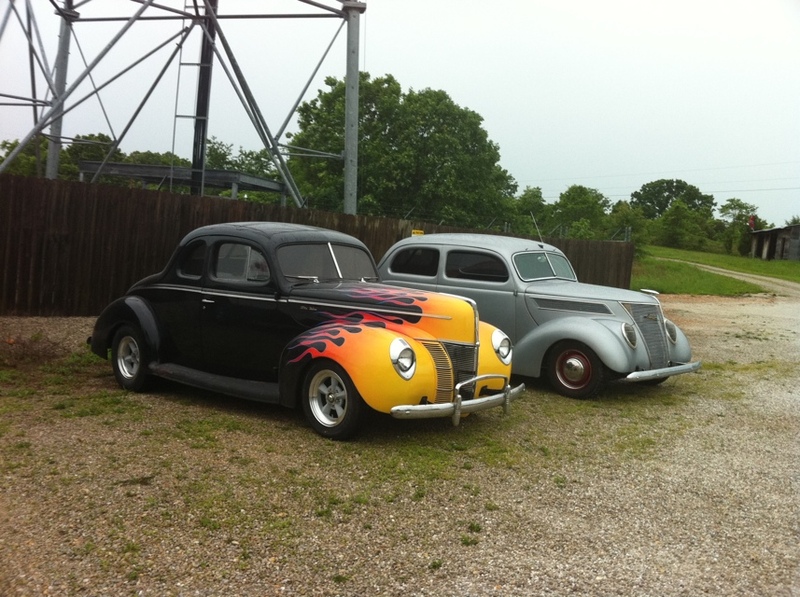 Here’s a shot of the two cars sitting together, in the parking lot of Show-Me Rod and Custom. Gotta love looking down the hood at the flame licks coming back!